ThemeParkMama: AWESOME Deal on K'nex! $10 Shipped! This K'nex 375 Piece Building Set is only $10.00 + Free Super Saver Shipping when you spend $35+. 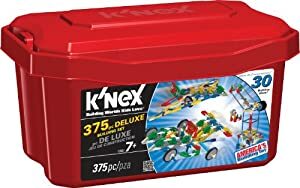 Set includes 375 Classic K'NEX pieces: rods, connectors, wheels and more!